To easily adapt to new sounds Quick transitions to hearing aids by gradually adjusting settings to allow your brain to get used to new sounds. Better wireless streaming Technology that provides consistent wireless performance while streaming TV, music and other media with SurfLink® Mobile 2, SurfLink Mini Mobile and other SurfLink accessories. Music the way it was meant to be heard A design that allows you to experience music in a whole new way. Now you can hear every note the way the artist intended — with pure, refined sound quality. Customizable tinnitus relief Advanced Multiflex Tinnitus Technology integrated into the hearing aids to bring relief to those who suffer from ringing in the ears. Professional Hearing offers this and many other lines of NuEar hearing products, and can help you pick the solution that works best for you. Contact us today for an appointment! 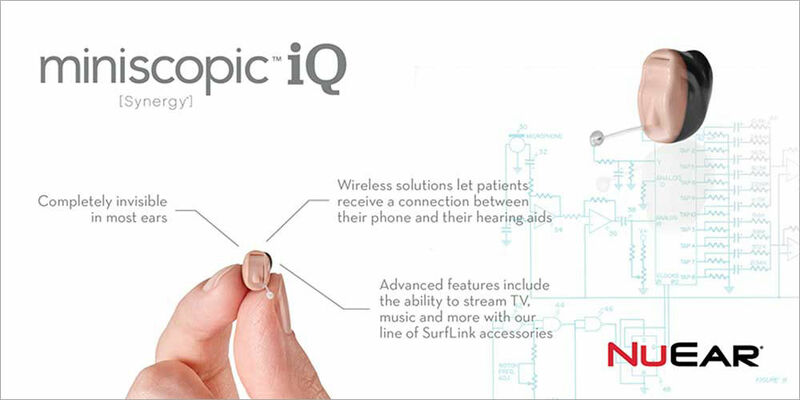 NuEar's line of SurfLink accessories — combined with wireless hearing aids — let you live life the way you want, no wires attached! 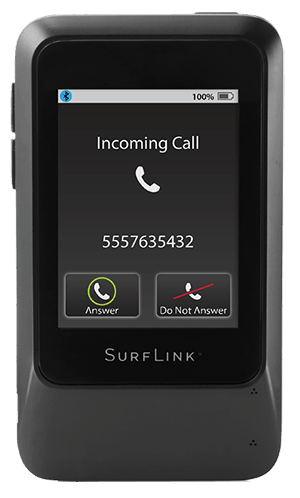 Enables hands-free cell phone conversations by turning our wireless hearing aids into the phone microphone and receiver: Your hearing aids pick up your voice and send it to the person you're talking to, and SurfLink Mobile 2 streams the voice on the other end directly to your hearing aids. Professional Hearing offers this and many other lines of NuEar hearing products, and can help you pick the solution that works best for you. Contact us today for an appointment. You can also download a complete brochure of NuEar wireless accessories here.